Its a fact that it would be fine with him? Well, Yea. Derek was an idiot but Vince was one of the best in-game coaches I ever saw. Georgia back then wasn't what they are now, they didn't have a talent edge most years, year in and year out he beat better teams with less, usually Florida. Don’t think they’ll ever go to 9 conference games....no reason to do it, since the SEC is getting a team or two into the playoffs and national title game pretty much every year. According to Tony Barnhardt, just no appetite for it from SEC coaches and ADs outside of Saban. Don’t believe it’ll ever happen. Some of us value tradition. And we're not skeert puddies. Yea well we already have at least 1 before them with Florida so, not sure what you even mean. To me, it’s simply a matter of wanting to see Tennessee successful - that means first of all winning the East, and then after that, hopefully the SEC championship game. Yes, there’s tradition, but bottom line is that Tennessee is considered successful if they reach the SEC championship game and beyond. ANYTHING that gets in the way of accomplishing that goal is counterproductive to Tennessee’s success. Therefore, I’m completely at peace with settling for meeting the Bubbas annually in the SEC championship game IF THEY MAKE IT. If they don’t, I’d be completely happy to have them sit at home and watch us play. If Tn was winning those games you would not be saying that. Yea, that first sentence reeks of fear. I think its dumb to lose to Florida 13 out of 14 years and have been a major obstacle in getting to Atlanta in the past, and you want to drop Alabama because you're scared. How many times has a loss to Alabama hurt us, other than just being a loss, in the past 10 years? I didn't like it when we dropped Auburn cause of the divisions. With a 12 game schedule now, you can get more matchups we couldn't before. I'm a traditionalist at heart, but we can rotate fast enough that I don't think I'd mind dropping anyone from the schedule..
Any who. Doesn't matter. Can't see those find of changes coming. 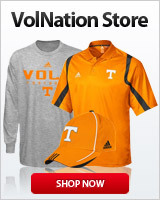 Vol Fans talking crap about us all the time, making us seem worse than we are when there is no need, showing Florida and their trolls love here on VN, talking about "Vanderbilt owns Us" and now some want to get rid if playing Alabama every year because they so big and bad and mean and they woops up on too bad. Ffs. I'm triggered. To bad on his resume it says Derek Dooley is his son... I kid, sort of. You don’t drop your biggest rival. They’ve been on a historic run, but cracks are forming in their foundation, their dynasty will fall just like every other, and I want to watch Tennessee beat them when the tables turn. Remember the 90s? College football is very cyclical, and we are about to cycle up again. **** bama, you have to face the bully and beat him, or you will always be the geek that goes running scared. Sec football is much like life, in the fact that it is not fair. The sooner you realize these things the easier it is to deal with the reality that is currently presenting itself to you. He went by me like a jet! How bout Tennessee get it’s crap together and meet Bama in Atlanta every year? oh Nice. College football AND life lessons all in one place.